Well, to say that I’ve been anticipating this day for a long time is an understatement. 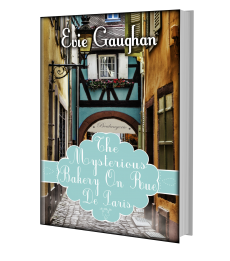 Finally, I am thrilled to announce that my novel, The Mysterious Bakery On Rue De Paris is now available to purchase in paperback on Amazon. It is the one year anniversary of publishing my eBook and the response has been fantastic so far. However, so many of you have requested a paperback version that it makes me realise – people still like to have the option of reading a physical book. Digital publishing is such an exciting revolution, but for a lot of people, there’s just nothing like a real book. And I have to say, I count myself among you. I guess it’s a bit like vinyl – you can really appreciate the artwork and there’s just something about the feel of the pages between your fingertips that (for me anyway) eBooks cannot replace. So fill your boots people! And spread the word – The Mysterious Bakery is going retro 🙂 Now you can tweet all your photos to @evgaughan of my book being read in exotic locations à la Amélie and the travelling gnome! Oh, and if you’re looking for a recommendation, why not check out my latest 5 star review on Amazon UK by Bodicia. After finding herself feeding mints to an unhappy child like some sort of maiden aunt, Edith Lane decides enough is enough and something drastic must be done. She answers an advert in the paper for an English speaking manager for a bakery in Paris and when, to her surprise, she gets accepted immediately she whips out a French phrasebook and books a flight. Quiet and unassuming Edith finds herself not in Paris but in a beautiful town about an hours drive away and in a very small room which would be more suited to a mouse. Deciding adventure doesn’t necessarily mean immediate gratuitous pleasure she stays anyway and quickly settles in with the locals. But who is curling the croissants at 4am and why can’t she go down to the basement? I loved Edith and this book is an absolute cracker with a cast of wonderful characters who ooze ‘Frenchness’. It’s about a woman who, having spent several years looking after other people, broke free of the doldrums and sets out to see what she can do to get some adventure out of life. There is a love interest but it is fraught with moral implications. 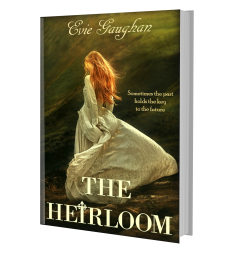 There are moments in the book which had me in stitches particularly when Edith is in a club and comes face to face with the hole in the floor which serves as the loo – the joys of French plumbing. This is a book which encourages independence and standing up for what is right and a story of a strong community who is appreciative of the past and proud of who they are. 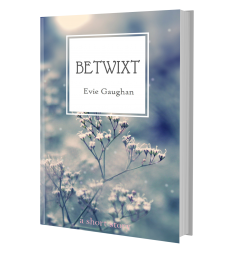 Evie Gaughan’s writing style is on point and so engaging. Right from page one I was hooked – there’s humour, a cracking story and likable characters. Take advantage of the ‘Look Inside’ on Amazon and have a read for yourself. Previous Post Another day, another castle! Next Post Can Reading Make You Happier? Probably!